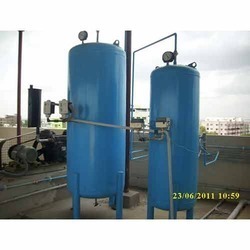 Leading OEM Manufacturer of vacuum tank from Ahmedabad. We have set a benchmark in the industry for manufacturing and supplying Vacuum Tank. The offered tank is used for supplying vacuum in compressors and is capacious. It is robust in terms of housing and offers hassle-free operations for a long period of time. This tank is safe to use owing to its leakage proof construction and non corrosive property. Looking for Vacuum Receiver Tank ?